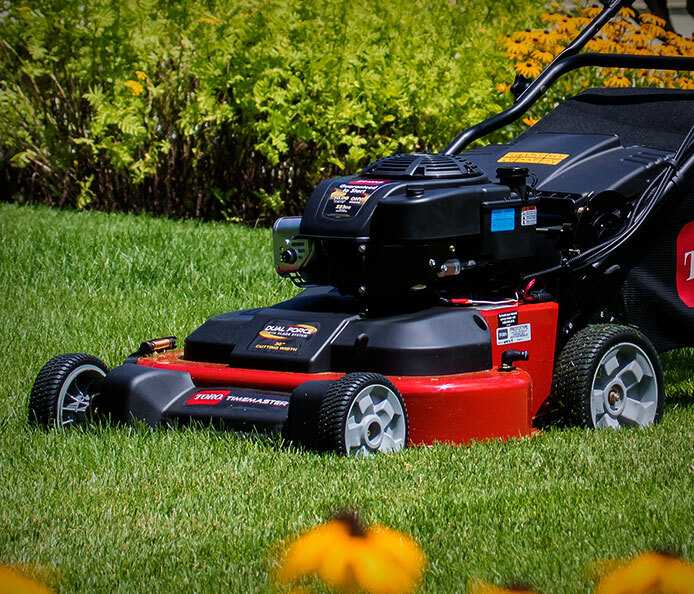 With a 30" mowing deck you will cover more ground in far less time. Approx. 144 lbs. Approx. 150 lbs. Specifications subject to change without notice and without incurring obligation. Products depicted on this sell sheet are for demonstration purposes only. Actual products offered for sale may vary in design, required attachments and safety features. 1The gross torque of this engine was laboratory rated at 2600 RPM per SAE J1940 by the engine manufacturer. 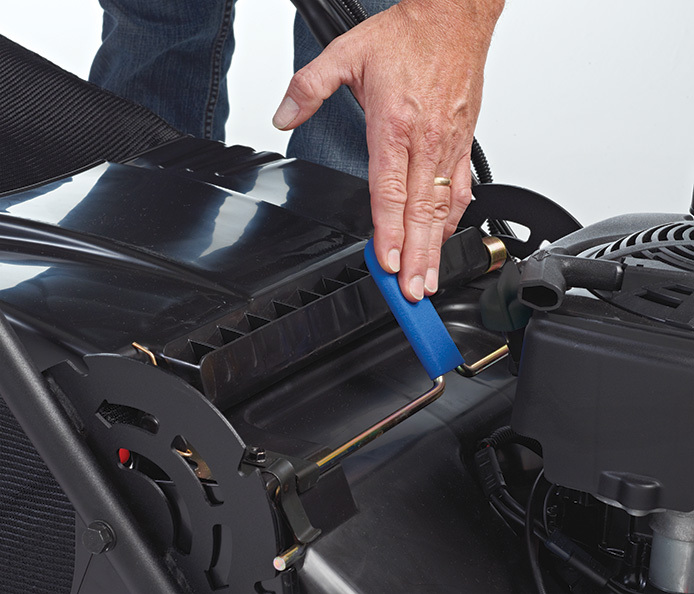 As configured to meet safety, emission and operating requirements, the actual engine torque on these mowers may be significantly lower. 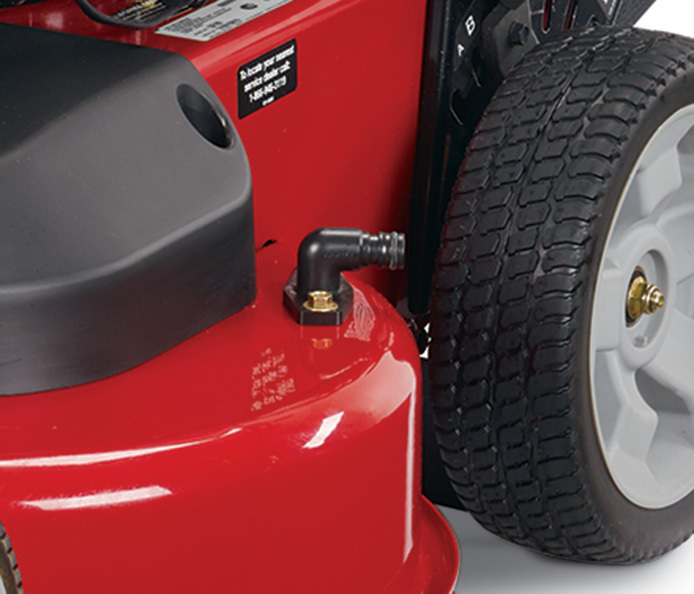 **See retailer for warranty details. 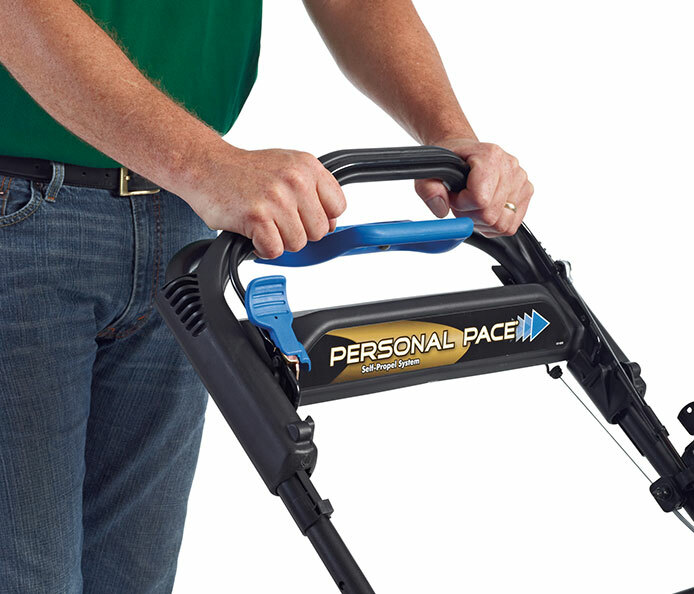 *When mowing with a TimeMaster as compared to 21" walk mower. Senses and smoothly adjusts to your preferred walking pace. 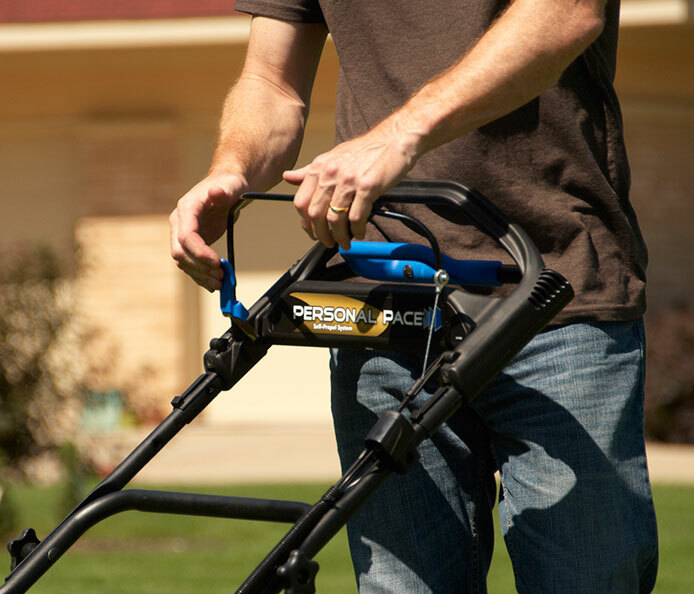 For more challenging areas with uneven terrain, the Traction Assist Handle can help you monitor your speed, and keep you mowing at a comfortable pace. 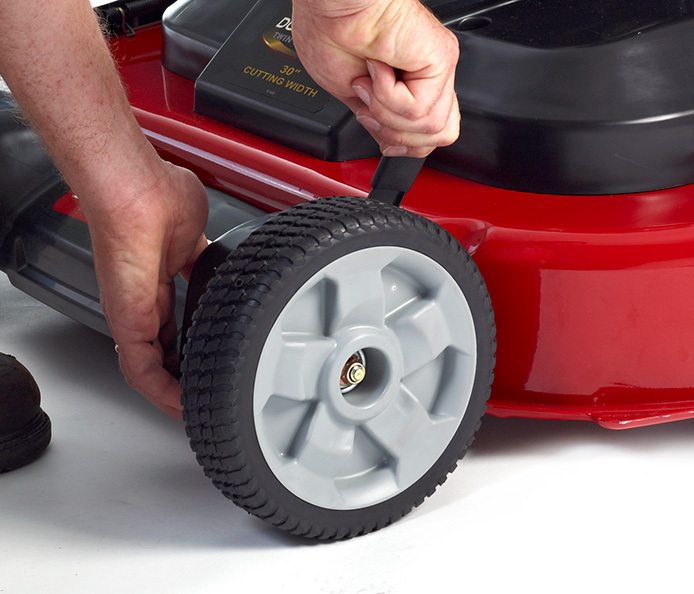 Stops the blade and allows you to briefly step away from the mower, without having to restart the engine. Two storage positions for easy compact storage.